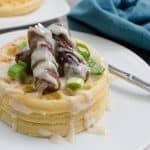 Waffles with Sausage and Maple Pepper Gravy – a twist on the classic! 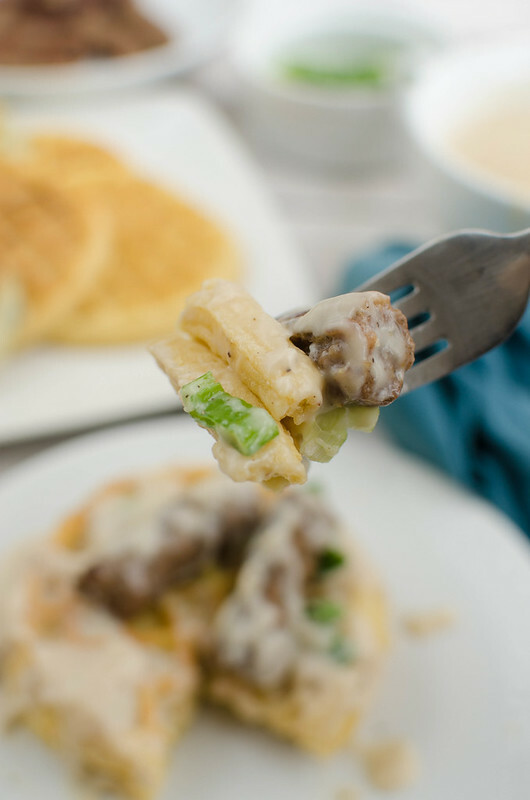 The creamy sweet and peppery gravy is perfect for waffles, biscuits, and so much more! If you know me at all, you know I love a food truck. So that’s why I’m super excited about the Eggo Waffle Truck that is traveling around the country this summer. It started in April and will go through September, stopping a total of 200 times in 100 days. I wanted to celebrate by making my own waffle bar of sorts. I went the sweet and savory route with mine because the Eggo Waffle Truck will have both options. 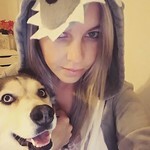 I picked up everything I needed at Walmart the other day. 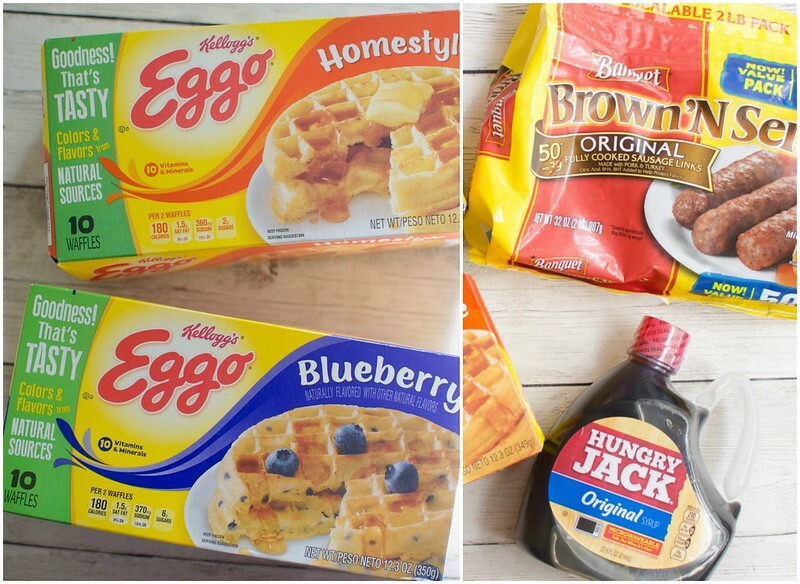 I started with Eggo Homestyle and Eggo Blueberry waffles. 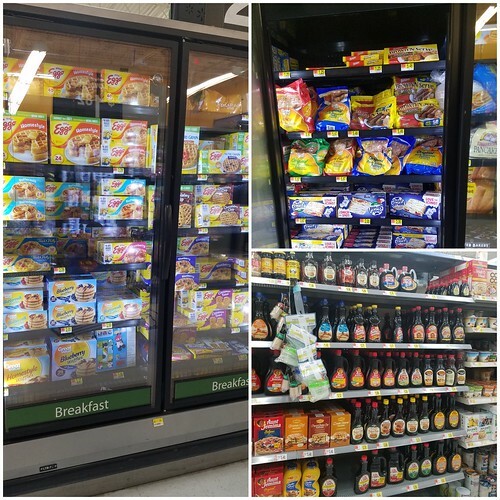 Eggo waffles now have no artificial flavors and colors from natural sources! 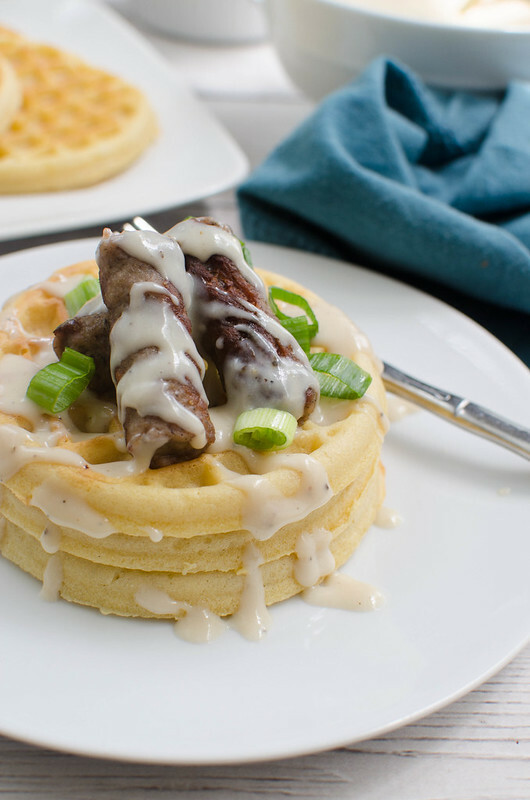 And then I topped the waffles with Banquet® Brown’N Serve™ Original Sausage Links which are fully cooked so they’re super quick for something like a waffle bar. Literally takes only minutes to cook. So if you wanna do a waffle bar for a big crowd, like for a 4th of July party, this is definitely a great option. And theeeeeeen, the Maple Pepper Gravy. I made a traditional cream gravy like you’d use for biscuits and gravy and added a ton of black pepper and then some Hungry Jack® Original Syrup. 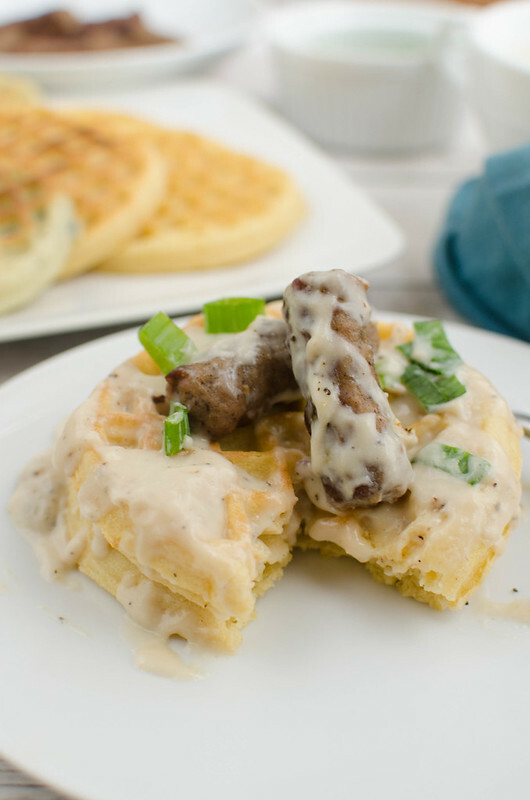 So it’s sweet and peppery and was perfect with the Eggo waffles and sausage. If you were going to do a waffle bar, what options would you have? Sweet or savory? A little of both? 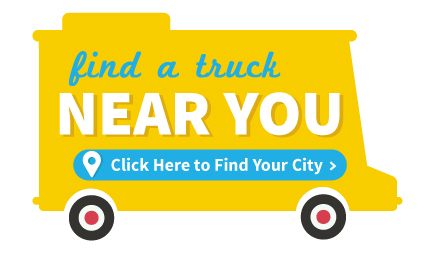 And don’t forget to check to see when the Eggo Waffle Truck will be near you! Melt butter in a skillet over medium heat. Add flour and whisk until no lumps remains. Slowly whisk in milk. Bring to a simmer and cook until thickened, whisking constantly, about 5 minutes. Whisk in Hungry Jack Original Syrup and salt and pepper to taste.